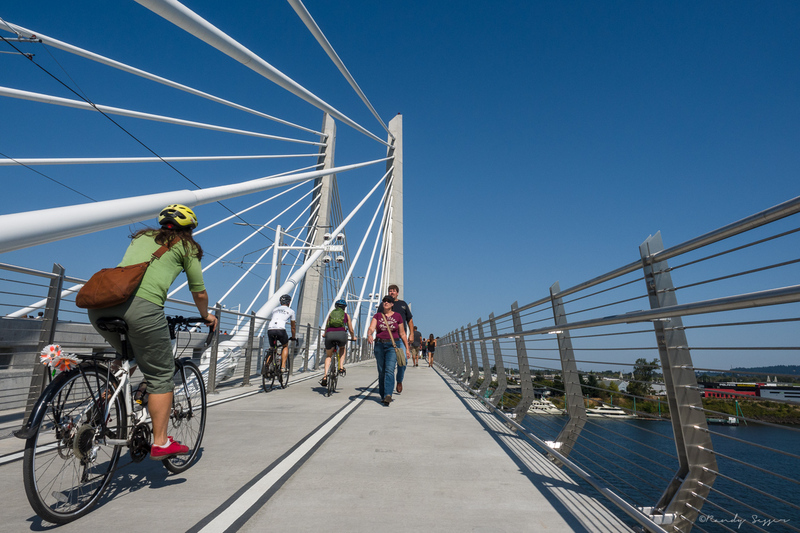 Yesterday, September 12th, 2015, was the official opening day of the Tilikum Crossing in Portland, OR. 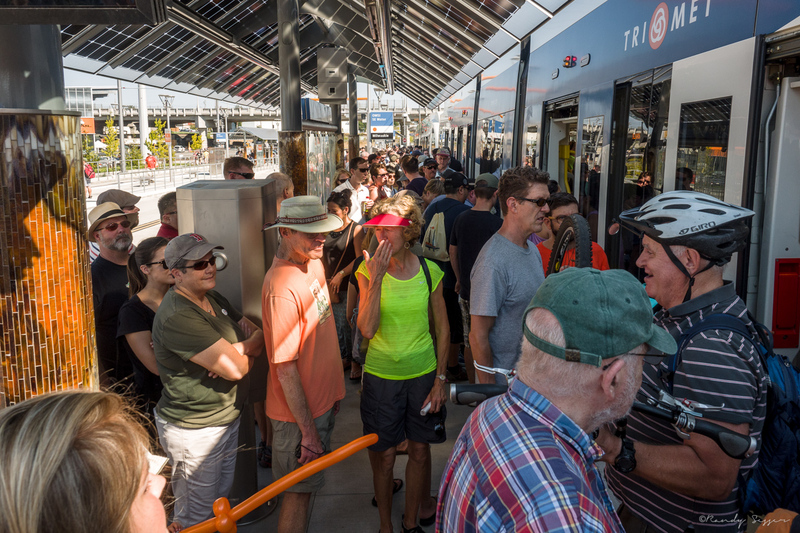 It was also the official opening of the new MAX Orange Line which travels to and from Milwaukie to the south of Portland, and over the new bridge to west side of the river. 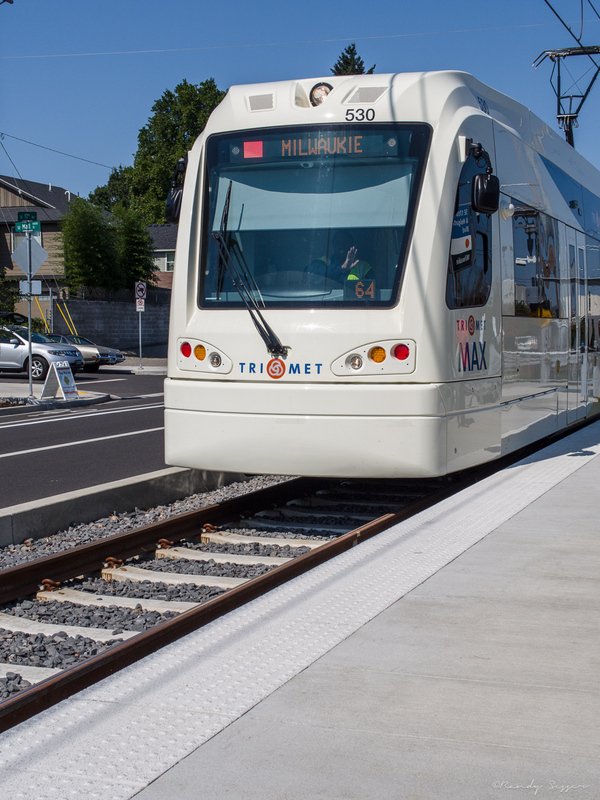 To celebrate the opening of the new Orange Line and the Tilikum Crossing, all of Tri-Met's public transportation was free. 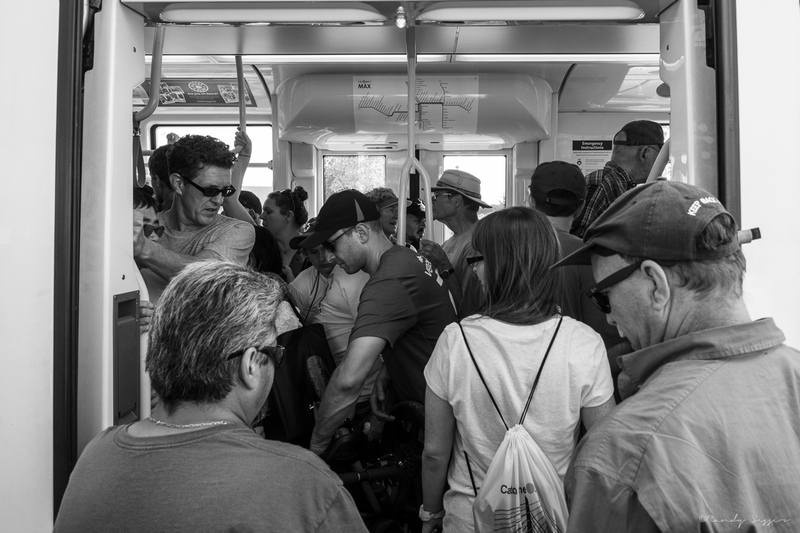 We pushed on and hopped on the light rail commuter train. 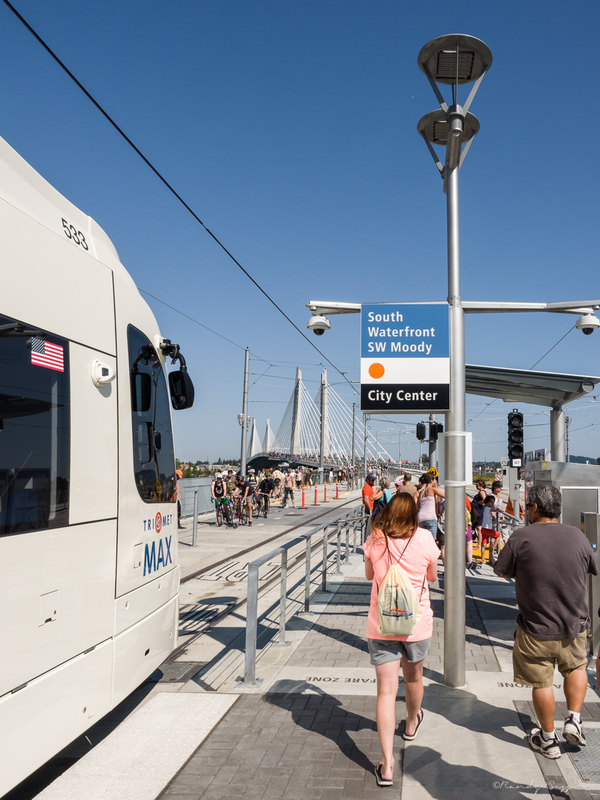 First, heading south because it seemed all of the north-bound (headed towards the Tilikum bridge) were packed. 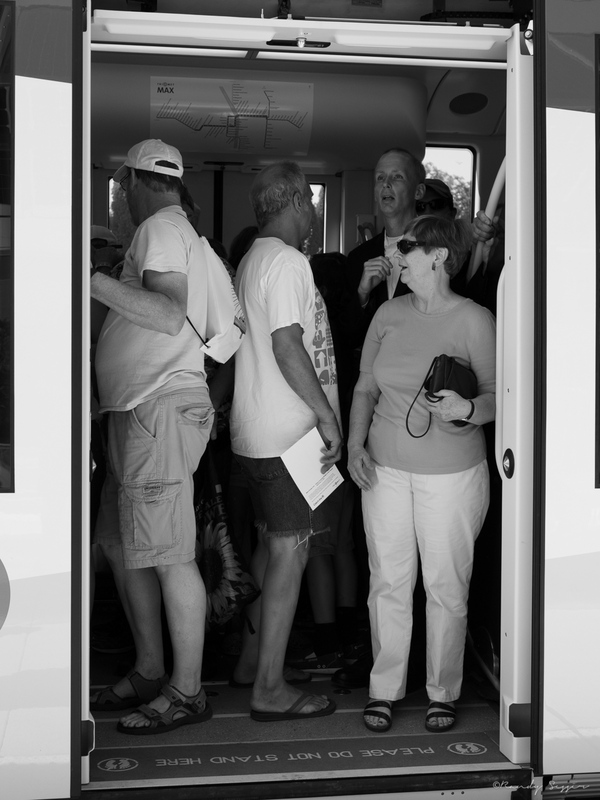 In truth, they were all pretty full of people, bikes, strollers, etc. Got off the south-bound train and found space on a north-bound train. 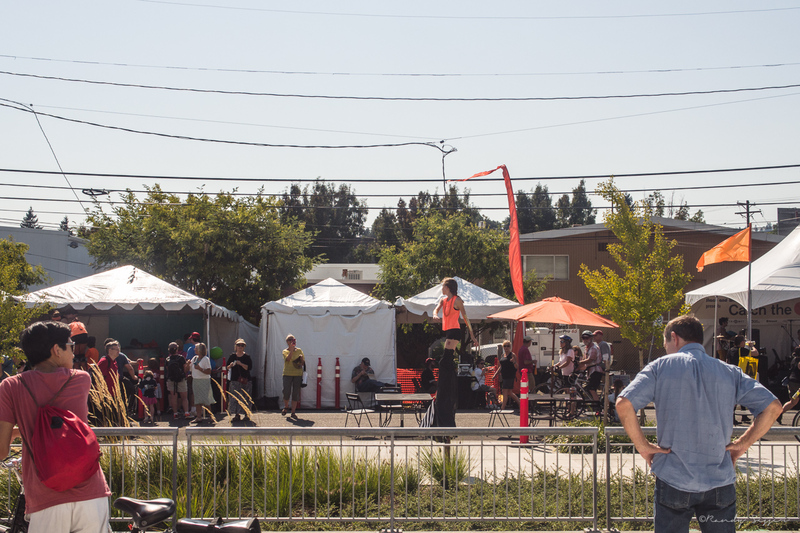 Along the route, there were events with various vendors, food trucks and activities. Like the young ladies on stilts. 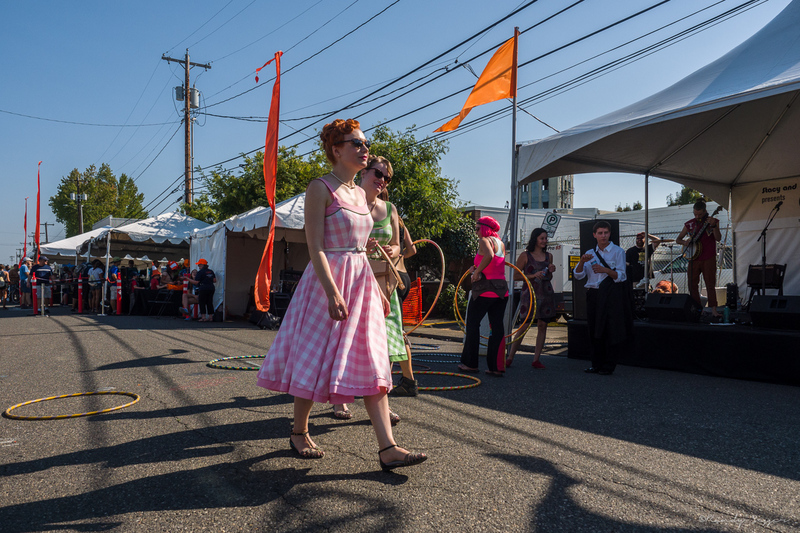 Just missed these ladies doing the Hula Hoop. Finally made it across the bridge! We started walking back across the bridge, taking in the sights. 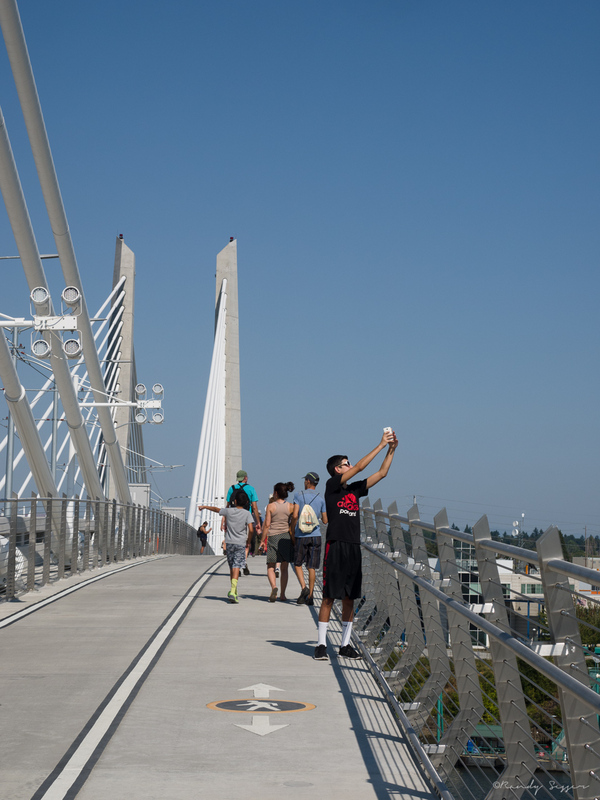 Always time for a quick selfie on the new bridge. 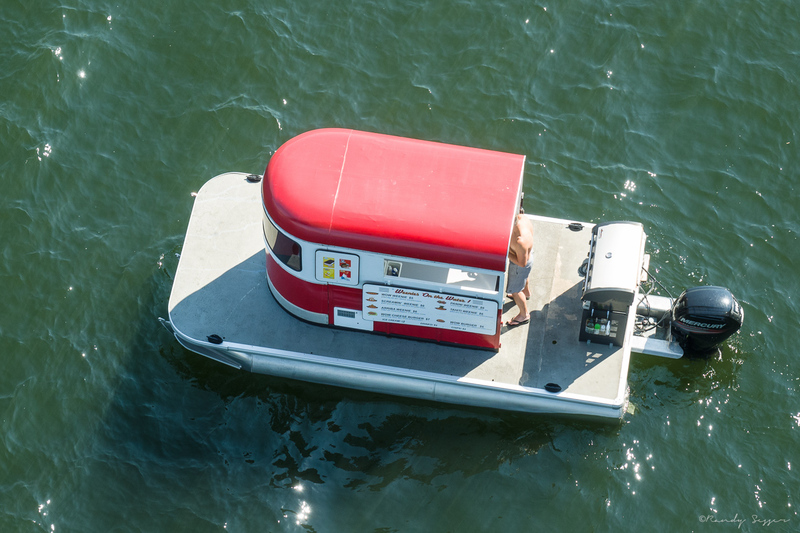 In true Portland style, they even had a "food cart" on the water for passing boaters, jet skiers, kayakers, etc. The river was pretty busy. 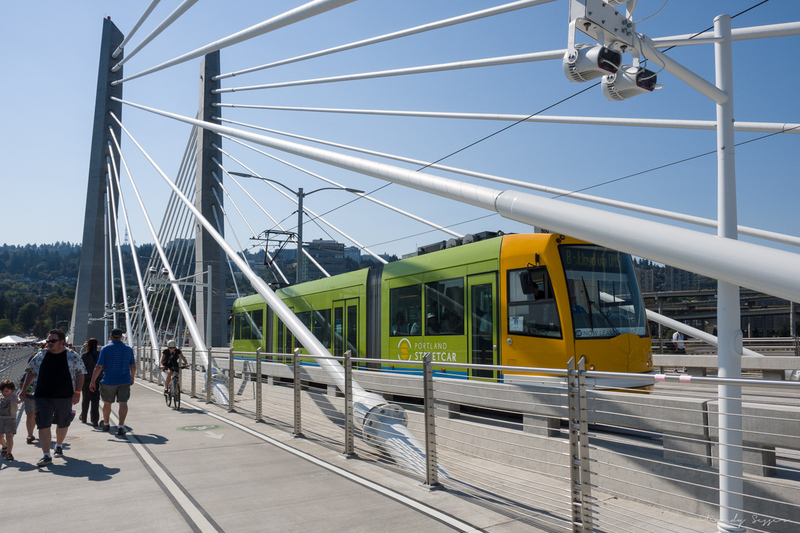 The Tilikum bridge is only open to buses, the light rail, the Portland Streetcar, pedestrians, cyclists and emergency vehicles. The platform for the return ride just as busy, if not busier. We waited around for two trains and finally gave up. Ended up walking another mile or two to a bus stop and took the bus home. 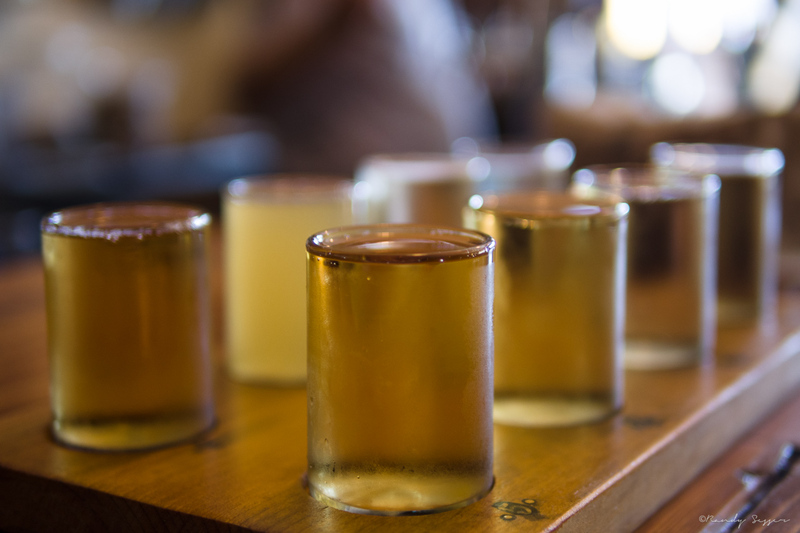 But, not before sampling some ciders at Bushwhackers. I know, I know... it's not beer. All in all, not a bad experience. Glad we did it, just wish it wasn't so crowded and hot. And stinky. 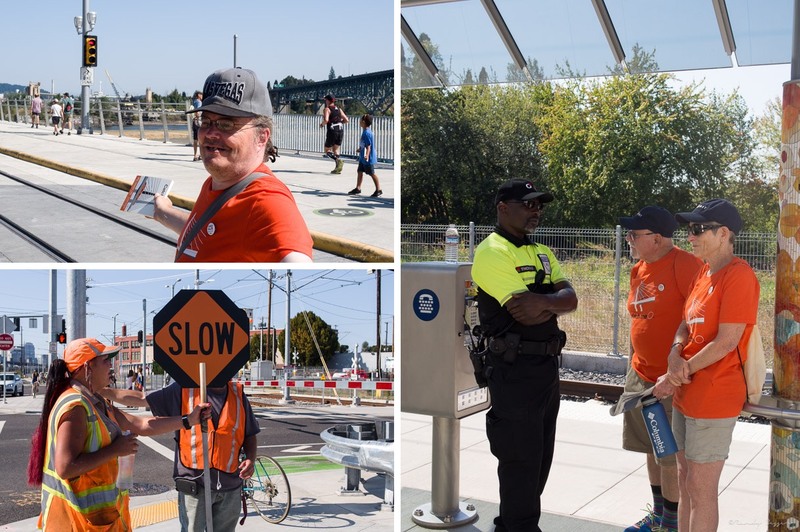 I will say, Tri-Met and the City of Portland were prepared and had plenty of security, workers and volunteers assisting people and making sure the day went without incident.